From Victorian opera houses to opulent movie palaces, theatre historian Cezar Del Valle offers a series of entertaining and informative talks and walking tours. Cezar Del Valle is the author of the Brooklyn Theatre Index, a three-volume history of borough theatres. The first two chosen 2010 OUTSTANDING BOOK OF THE YEAR by the Theatre Historical Society. Final volume published in September 2014. Currently editing and updating the third edition of the Brooklyn Theatre Index, Volume I. 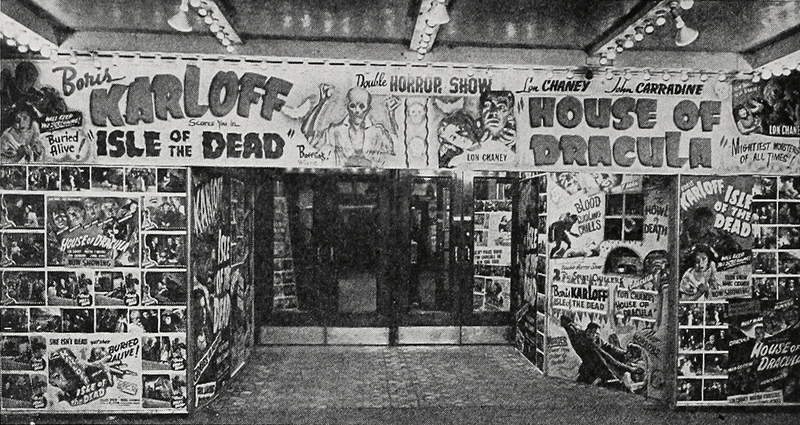 This entry was posted in Chicago, Movie Theatre, Theater and tagged ballyhoo, Boris Karloff, Brooklyn Theatre Index, cinema, Detroit, Dracula, Lon Chaney, movie house, Theatre Talks, Wolfman. Bookmark the permalink.